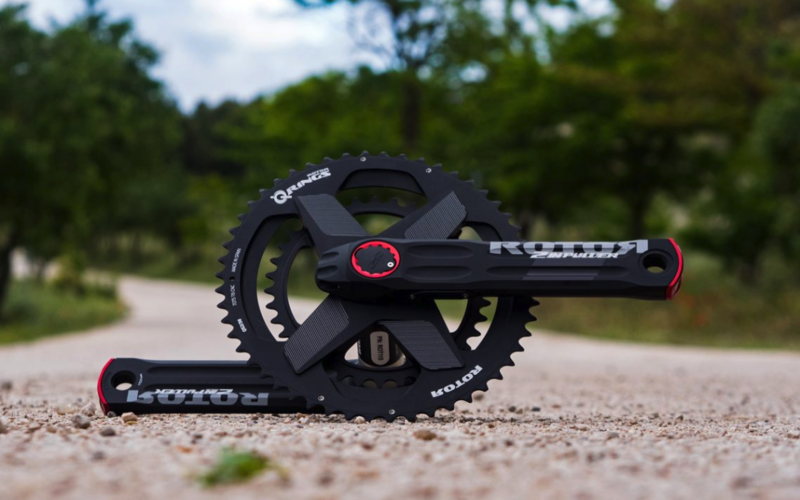 The power meters both for road and mountain bike are one of the most interesting components, and one that can help you the most if you want to improve your workouts for competition. At ROTOR we have had the INpower and 2INpower models for years. The best solution which is hidden in your cranks and that will provide you with the most valuable data from each of your pedal strokes. Here we will teach you how to get more out of INpower system software. Measuring watts today is easy. Measuring them accurately is more complicated. And not only measuring them accurately, but knowing how to interpret the data with the appropriate software, is much more demanding. That is why at ROTOR we have developed the right software for our INpower and 2INpower systems. A software compatible with both systems, but depending on whether you use one or the other, you will have the possibility to get more data to decide your way of pedaling. We explain the main differences between them. The watt measurement systems INpower and 2INpower are supported by the same software when analysing the data. The difference is, that depending on whether one powermeter or another is connected, the software will give you some options or others. In the case of the INpower, which is able to measure the watts generated only by the left leg, we can obtain, by means of the software in the advanced training mode, the graphs belonging to said left leg. On the pedaling graph we can observe both the force applied in the down stroke half of the pedal cycle, as well as the applied force or resistance, depending on whether it is pulled more or less upwards, during the upstroke stage of pedal cycle. This will allow the user to know their unique way of pedaling with that leg and whether or not they should work especially in the half cycle of the upstroke. Another feature of the INpower DM (the initials DM are for the Direct Mount chain rings) for users who know their balance between the left and right legs, is that the software allows in the “Service” section to modify said balance. This balance is set by default at 50% power for each leg, if different, the powermeter, instead of multiplying the power developed by the left leg by 2, multiplies it by the corresponding data input by the user. INpower systems have ANT + communication, while INpower DM has ANT + communication and Bluetooth. The main difference between the INpower and the 2INpower, is that the 2INpower measures the two legs independently. For this reason, what we mentioned previously of the balance programming does not exist, since we will have all the data of each leg and we will know in which percentages we work in both. You will see that this balance option does not appear in the software when you connect a 2INpower system. One of the most important points of the advanced training mode with 2INpower, is that the software will allow us to choose which parameter we want to visualize in the graphs. On the one hand, you can choose between force (or torque) exerted by the left leg during the complete pedal cycle. This would be the same information that the INpower system allows you to visualize. With the 2INpower system you can also see the force exerted by the right leg or the force exerted by both legs at the same time. In this case, if the total force is selected, it is not seen graphically what happens with each leg independently. If we want to know how much force is applied or not in the upstroke half cycle with each leg, we should look at the data of Torque Effectiveness from the left and the right, how round the pedal stroke is, how accented the dead spot effect is or which is the pedal stroke orientation, all of which is shown graphically. In all cases, the software will show us the angle in which the total effort of each pedal is centered. This is known as the OCA (Optimum Chainring Angle), which is correlated with an OCP (Optimum Chainring Position) potion of the Q RINGS® oval chainrings to show you how to orient the oval chainrings to get the most out of them according to your pedaling style. As with all INpower powermeter models from ROTOR, the software supplied will allow you to update and calibrate the firmware of all models.